First of all, my apologies for skipping a couple of my regular blog days. Hopefully, I can pack this blog with enough information to make it worth the wait. So, as we begin the holidays I want to help you shop your closet for old, new outfits to wear to the multitude of gatherings that are about to fill your calendar and help you decide what pieces you may want to pick up on Black Friday to spice up and existing ensemble. I have been making mental notes the last couple of months over some simple wardrobe transitions into fall and winter using existing pieces from your closet. I am listing several examples, not to be redundant or narcissistic, but from having a non-visualizing husband, I have learned the more examples the more likely to relate ideas from my artsy, imaginative mind to a practical application for someone else. 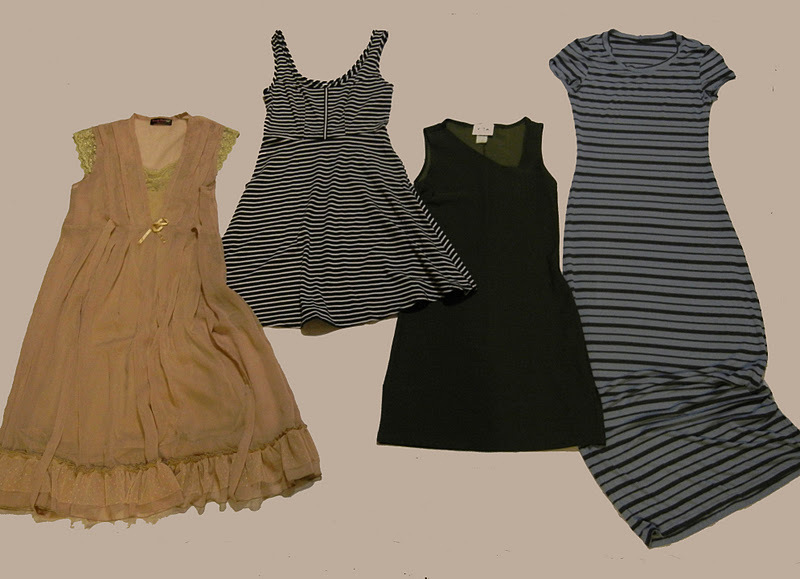 Let’s begin with a few summer dresses. From left to right I have a boutique dress, a Target dress, a dress from about 1998, and a homemade dress (one you may also have made if you have been following my blog). There is enough variety that you should be able to relate. Notice the similarities first. They are all summer dresses, light weight fabrics, and non-season specific colors. The last point is the most important! Whether you are shopping for a piece to achieve maximum wear for your money or sorting through your closet for a summer piece to transition to winter think about the versatility of the color. Also, when shopping, consider whether it is a staple or a trend piece? Examples of a staple are that basic black dress or perfect fit trench coat that you wear holes in before it goes out of style. Do not feel bad about spending a little more on a quality staple...you want it to last. Trends can be any number of things from how we wear something to the piece itself...skinny jeans, tall boots over the pants, belts, scarves, feathers in our hair, etc... This is not where you want to dump your money. I bet you additionally have a few of these fall/winter time pieces in your closet too. Now let’s look at the different dresses (and a few more) one by one. The flirty ruffles and sheer fabric at first look would appear impossible to lend to cozy cold weather apparel, but add a darker-colored blazer for seasonability and contrast, a trendy pop of color in a winter-weight scarf, tights that mimic your blazer color and low topped boots and you have a very equestrian inspired ensemble. I want to make a note about the low boots. I chose a low boot because I am short. The length and width of this dress are not particularly flattering to my frame. Since I liked the dress so much I chose to purchase it and accessorize it to create a flattering silhouette. By choosing a short topped (these are actually my design) high heeled boot. I could create a vertical thread between the hem and my feet. Pumps would work just as well. The boots serve a second purpose too. Because there is horizontal space between my lower calf and the boot top it creates the illusion that my legs are thinner than they actually are. With the help of the dark colored tight this also makes them appear longer. Allowing the scarf ends to hang in line with my legs brings head to toe elongation to a dress that can easily appear very wide. This is a great polished look for many occasions. Belting at the waist over the jacket is another option. Again we are dealing with a flared bottom. But this one is bias cut so it hangs a little less rigid and more flattering to the body. Similarly to the first set of images I have added a color-pop loose-ended scarf, tights that match the jacket, and wide topped boots. Though it is hard to tell in the picture the jacket is double breasted with banded ribbing at the hem. What I chose not to do is leave the jacket completely open. Buttoning the solid fabric over the stripes helps notate the location of my waist and creates some distance to my feet. This is a very comfy option for an errand-running look. These are one of the few flats I wear (one of my favorite winter staples). I love them and I will get them re-soled until they completely fall apart. If you have not grown height-wise in the last 10 years you have a few old dresses in your closet. I found this one in my closet at my parent’s house this summer. It still fits, it is still flattering, just not particularly trending at the moment. But, some of the asymmetric cut-out’s of the 90’s resemble the same seam angles of the current color-blocking designs. Additionally, the diagonal neckline aides in confusing the eye to bounce around the outfit and creates a slimming effect to what could easily become a very harsh, wide horizontal line across the shoulders. Whether you have wide or narrow shoulders this combination will work. The combination of the sweater neckline, dress neckline, tie at the waist, and the repetitive continuity of the colors above and below the waist allow the outfit to form curves while slenderizing. Stay away from pairing a bulky, nearly off-the-shoulder sweater with a boat neck top if you do not want your shoulders to appear wider. This is a super look for a casual holiday party. If you do not remember this dress scroll back through some of my “wearable fashion” posts from the summer. I walk you through creating a pattern and construction. I would assume that many of you have more than one maxi dress in your closet considering they have been in vogue for a few years. I have noticed this look continuously creeping into the various fashion magazines and really all it consists of are a couple items you already have in your closet. 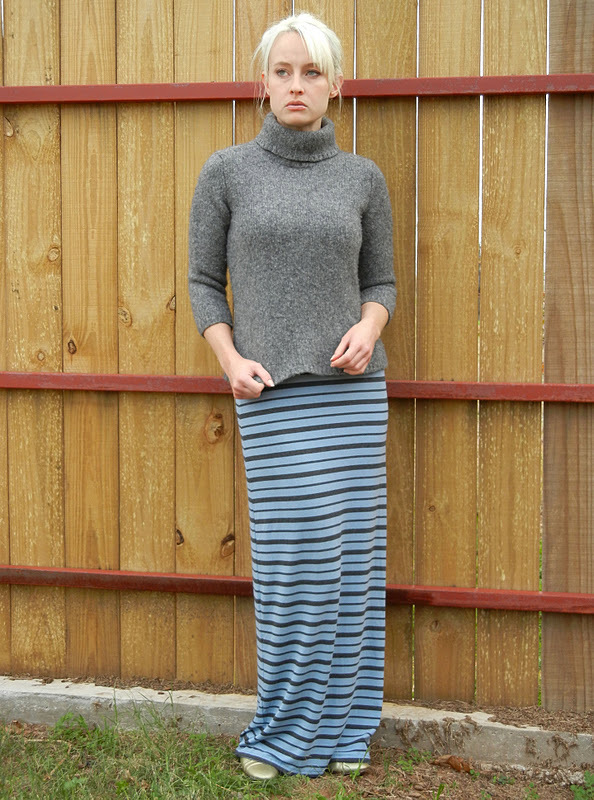 Select a comfy sweater in the same color family as the print of your straight maxi dress. Important: a straight maxi dress paired with a moderately tailored (and not overly long) sweater achieves the best results. 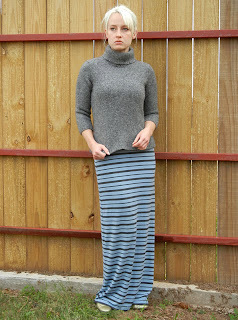 You can make this ensemble as warm as you would like by adding a heavier sweater and tights beneath. Considering these photos were all shot out-of-town (in very warm 80 degree November SW Oklahoma) with a limited number of pieces I tossed in a suitcase the shoes are negotiable. I am not one for flats that are not tennis-shoes or my treasured mukluks so the ballet flats shown are actually some old costume shoes. However, if I owned a pair of ballet flats they would pair nicely with this outfit. Whatever shoe choice you make this is not the time for statement shoes. The idea is elongating the body with the clothing not distracting the focus to your shoes. This is perfect airport attire for your holiday travels, layered, comfortable, and cute. Here are a few extra ideas for pieces you probably already have. To my dismay animal prints have clawed their way back to another season. This is another old dress from about the 2002 era (when I was really wild about animal print). With the resurgence of knee-length (and below) pencil silhouettes, thanks to “Mad Men” and “Pan-Am” and undying leopard prints this dress is totally recyclable. Pairing it with a long, solid dark brown wrap sweater, dark brown leggings and dark brown boots keeps the look modern and inhibits the animal print from taking over the apparel. Keeping the pieces (aside from the animal print) the same color will keep the look from appearing too loud. Speaking of loud...the bright orange tweed suit! The designs come and go, but you can always find some form of tweed suiting. If you do not have an old tweed suit check the back of your mom/mother-in-law’s closets...and they are pretty prevalent in thrift stores too. As we know gold and coppery tones have been making a come-back and these old suits already have the gold buttons attached. Turn up the sleeves and belt it for a current look. I wanted to show that you do not have to be across the board trendy to dabble in some new looks. This is very fitting for an older crowd. 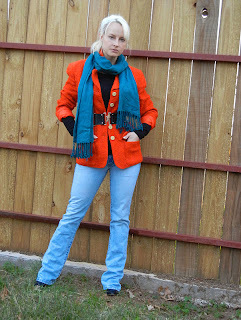 You do not have to do the skinny jeans and just move the belt from the loops to the waist over the jacket. Simple, minor changes that rock trends without appearing like you robbed your daughter or granddaughter’s closet. This piece was on my garage sale chopping block this summer. It feels a little maternity...tailored at the top and loose over the tummy. But I found that little glimmer of life left in it when I unbuttoned the top and let it fall to a more natural position. I then belted it in place and it added some nice monotone texture. A contrasting belt cinches the waist and the matching boots complete the outfit. This is always my general fall back look, I love black. Which makes my wardrobe really easy to work with. Alright, last looks and switching to white. This is another look that can work for different age groups. The first sweater style may jive better with a slightly older crowd and the second young adult to middle age. All of the pieces you see below are all separates, including the fur collar. The fur collars are easy to find. If you do not have grandma’s somewhere stashed away in a dress-up drawer from childhood check your local thrift or antique stores. Pin it to your favorite long sweater, preferably your long sweater that just happens to be the same color as the fur and the dress. Belt below the sweater for a defined waist, but less trendy look. For a fun twist...it’s back to the back of the closet or the thrift store. Yes, at one time this faux fur vest had zip-off sleeves. If the vest has a rib-knit band like this one you may feel more comfortable folding it under...out of sight....and pinning it. 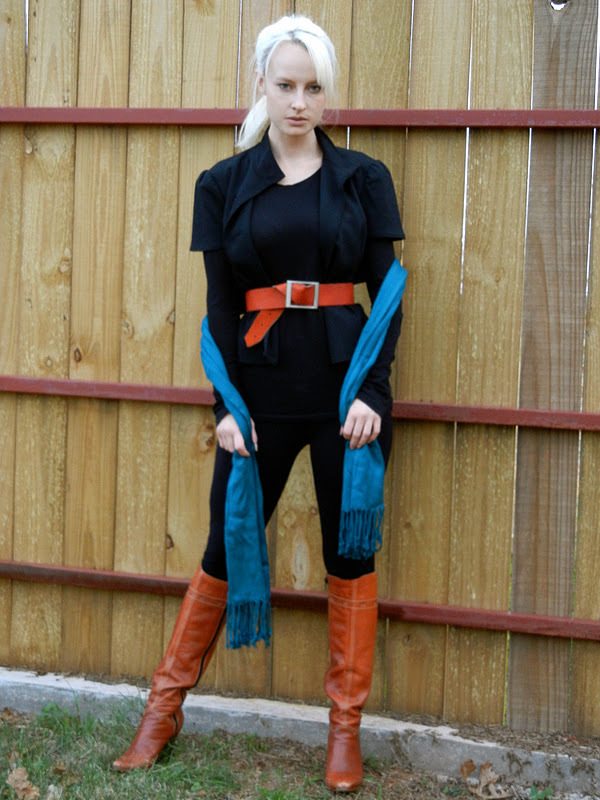 Layer the ensemble the same as above but without the fur collar and place belt over the top layer. 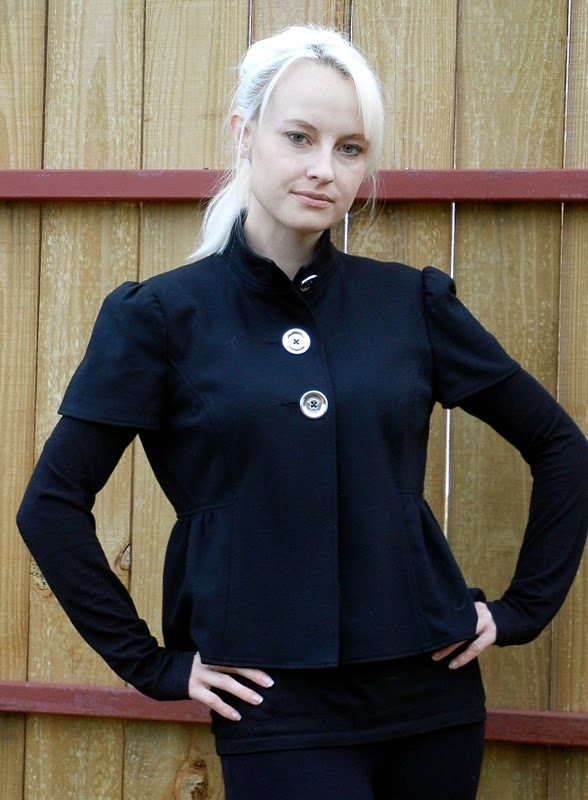 Puff the chest area out of the vest above the belt to an even width with the peplum. You do not want the top to be stuck down tight to your chest and the bottom creating unnaturally large hips. Skins are huge this season so toss a piece into your wardrobe like this snake skin belt below. And I will wrap this closet shopping spree with an outfit I find most comfortable. Choose a head-to-toe, form-fitting solid color with high contrast to your oversized vest. I tend to trend hipsy, so the oversized vest in a lighter color helps slim my lower half. If you are uncomfortable in spandex denim works too. Most importantly seek out trends you can incorporate into your wardrobe and still retain a sense of self. Self confidence makes an outfit a hit or a costume. In the spirit of thanksgiving I have a few thank you’s to mention. I would like to thank my Mom for helping me with the pictures for this post. It is so much easier and beneficial when I can bring you real examples from my own closet without attempting self-portraits or dressing dress forms. My next shout-out goes to Jeremiah at Maaco on the Broadway extension in Oklahoma City. He was so gracious toward my helplessness in replacing my taillight. He was helpful, quick and even shared a remedy for removing pet hair from my car seats. Great people...go see them for your car service needs! And, of course, I am thankful for all of you that I am able to share my ideas. 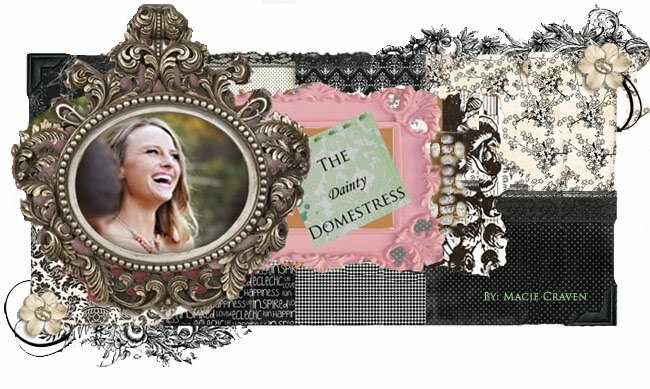 This blog brings me no gain other than a creative outlet. I love your comments and messages that let me know someone finds them useful. I love all of these ideas... and such creative ways to change up an outfit and give a little umph to your wardrobe. I am noting some of this for sure. Oh an that last set is my favorite! What a fabulous post Macie!